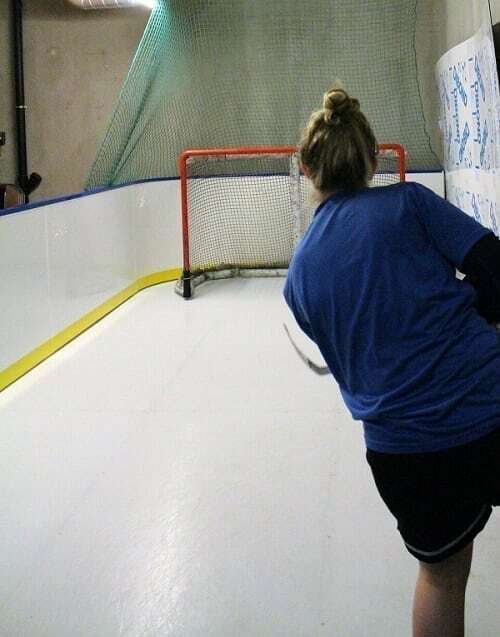 To practice their shots, the women’s team of EC Wil in Switzerland now relies on a synthetic ice pad by Glice®. According to the coach, the progress has already been truly remarkable, thanks to the increased efficiency in terms of shot practice. 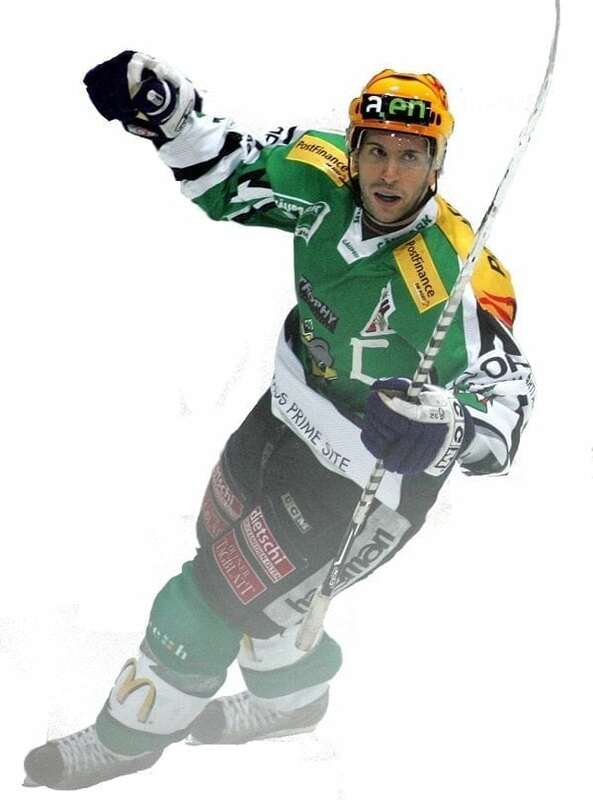 Glice® is proud to announce that yet another ice hockey pro joins the team! Forward Tassilo Schwarz was won over by the authentic feel of Glice® artificial ice rinks and will promote the premium product in Switzerland and internationally. With 15 years of experience in her bag, ice hockey goalie Stephanie Lindner arrived at Andi Trautner’s famous Top Point store near Munich. The idea: to scrutinize ice hockey pro Trautner’s latest store addition – a Glice® synthetic ice rink. For some minutes Trautner and his colleagues fired pucks at Lindner’s goal, whose verdict on the synthetic ice was in line with the experience of other athletes: “At first it’s a bit unusual, but after one or two minutes it’s just like being on real ice. I didn’t have the feeling that I was on an artificial ice rink,” said Lindner, visibly won over by the green Glice® synthetic ice. Who would know better what really matters on the ice than an Ex-NHL player with decades of experience playing and coaching? That’s why Glice® synthetic ice is thrilled to welcome ice hockey pro Bob Mongrain as the latest arrival to the team. Originally from Quebec in Canada, Bob’s NHL career led him to Buffalo and Los Angeles before he retired in Switzerland, which has been his home for the last 20 years. At Glice® Bob will be responsible for business development, promoting the superb synthetic ice in the Swiss-French market. Welcome to the team Bob! The crux with being an ice hockey enthusiast is that training sessions are usually limited to winter months and expensive facilities – it’s not like kicking around a soccer ball in your own yard right? 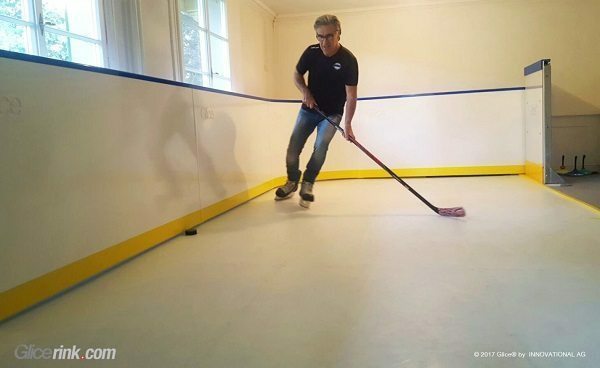 Well, you would be surprised – there is good news as a Swiss home owner recently learned: He amazed his son with a customized ice rink installed to precisely fit the family’s basement. Now the ice hockey sessions continue on Glice® synthetic ice pads for home training all year around and at any time. Talented young hockey players and figure skaters thereby increase their progress considerably.